LG is likely to launch a new smartwatch this year, but the first details about the upcoming wearable might drop in just a few hours. Google I/O starts later today and what better time to introduce a new product than the search giant conference. Although it's not the first time we hear about another LG smartwatch, it's the first time we're seeing some images related to the device. Apparently, the mysterious smartwatch made it to FCC (Federal Communications Commission) with model number W315. Considering the previous LG smartwatches were launched with the model numbers W270 and W280, this seems like a huge leap forward. Unfortunately, aside from a handful of pictures showing the smartwatch's UI and FCC ID, there isn't much info available for the moment. 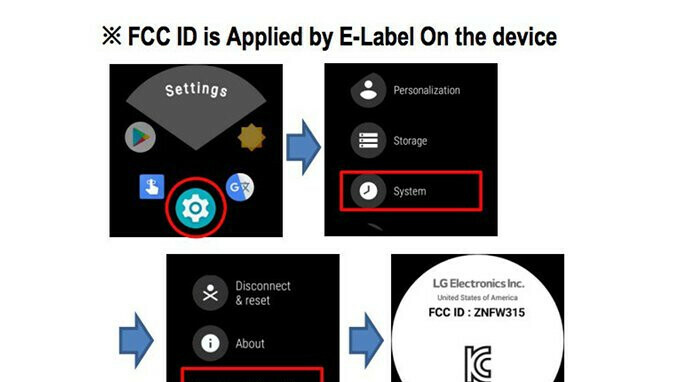 However, it appears that FCC has tested the smartwatch for Bluetooth and Wi-Fi, which could suggest that the LG smartwatch won't feature cellular connectivity. We expect more details about LG's upcoming wearable device at Google I/O later today, but there's no guarantee that the smartwatch will be announced this week, so stay tuned. I am hoping that it has the project soli chip on board. That would be so cool if it did.